It took less than three months for Internet Explorer 7 to clock up 100 million downloads, Microsoft has revealed. 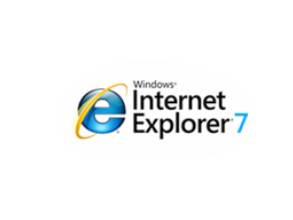 Since its launch on 18 October last year, Internet Explorer 7 has been downloaded and installed more than 100 million times. The magic number was reached on 8 January, Microsoft said. Web monitoring company Websidestory said that a quarter of American web users already use the latest version of Microsoft's web browser. When Windows Vista is released to consumers at the end of the month, that number is sure to rise dramatically. Internet Explorer 6 is still the market leader among US web users. Some 62 per cent use the previous version of IE, whilst 10.7 per cent use Mozilla's Firefox web browser.